Decorative stickers, photos, pictures, card stock ribbons, etc. Acrylic Craft Paint in various colors and Spray on glitter. for a great effect. Let Dry. 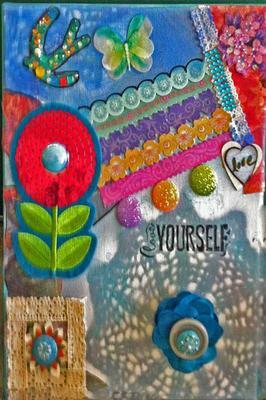 (3) Glue your craft stickers, bling, ribbon, photos, etc. and gently pull off canvas).